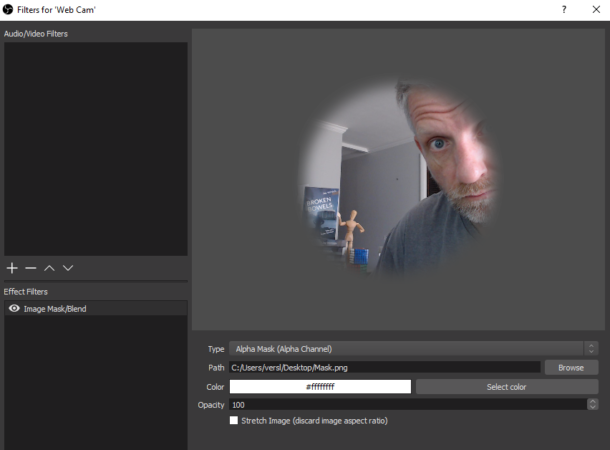 We need to tackle two things for this effect: crop our (probably 16:9) web cam feed to a square, and then use a square transparent mask as an overlay. With a bit of thinking we can do both things at the same time, saving a bit of processing power while we’re at it. 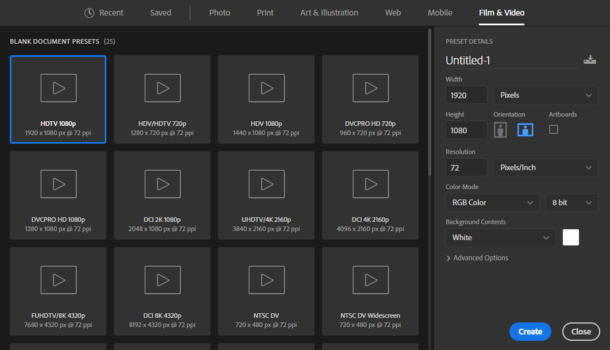 First we’ll create a 16:9 blank image in Photoshop. I’m doing this because my web cam delivers a 16:9 image. If yours is different, please create an image that would cover the whole aspect ratio of your webcam (4:3 is another popular option). I’m going to create mine in 1920×1080 pixels. Now we can use the Elliptical Marquee Tool to draw out a round selection. If that icon shows a rectangle instead, simply hold down on that icon to bring up other options. Next, let’s draw out a circle. We can hold down SHIFT while doing so to make sure the ellipse stays round, or alternatively draw an oval if you like. This will create a selection. 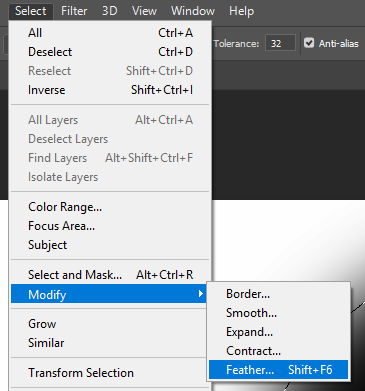 Let’s feather it so that it’ll be soft on the outsides (under Select – Modify – Feather). A radius of about 50 pixels should suffice. The “perfect” value will depend both on your personal preference as well as your image size. Now we’ll grab the Paint Bucket Tool, switch to a black foreground colour and fill the inside of our circle with black. 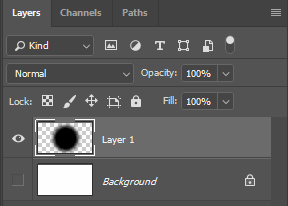 Make sure you do this on another layer, NOT on the background. In fact, once done, click that little eye icon on the Background layer to switch it off. We’ll do that so that our image will contain transparency. Essentially a transparent rectangle with a fuzzy black (non-transparent) dot in the middle. That’s where my face will go. Feel free to use File – Save As to grab this mask and use it for your own project. 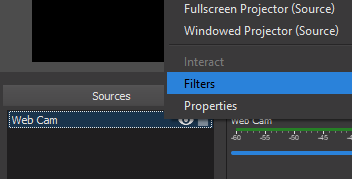 Let’s make good use of it in OBS Studio next. With the Web Cam Feed in place, right-click on it to apply a Filter. 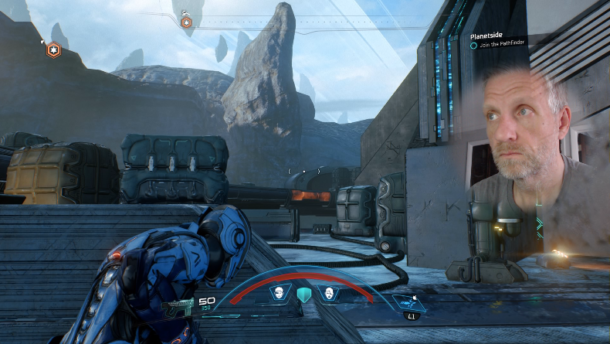 We’ll choose the Image Mask/Blend Filter (under Effect Filters). Browse to your Mask Image, then set the Type to Alpha Mask (Alpha Channel). This will cut out your camera feed and leave a visible circle in the middle. 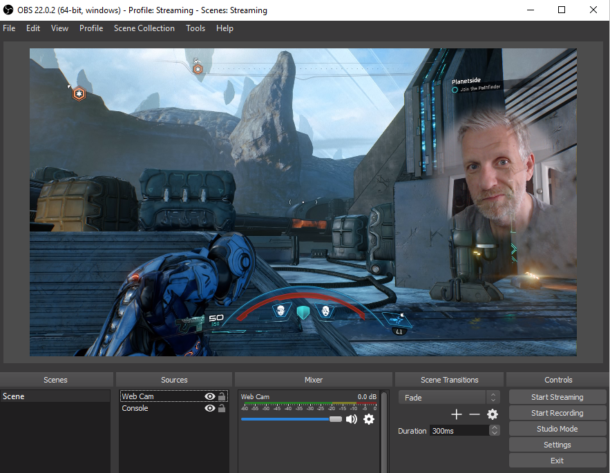 Feel free to drop down the opacity from 100 to perhaps 80 or less to make the web cam image blend into the footage you’re going to stream.